Reason #74: (Janazah-Post 9) – The janazah mubarakah reached Saifee Masjid. 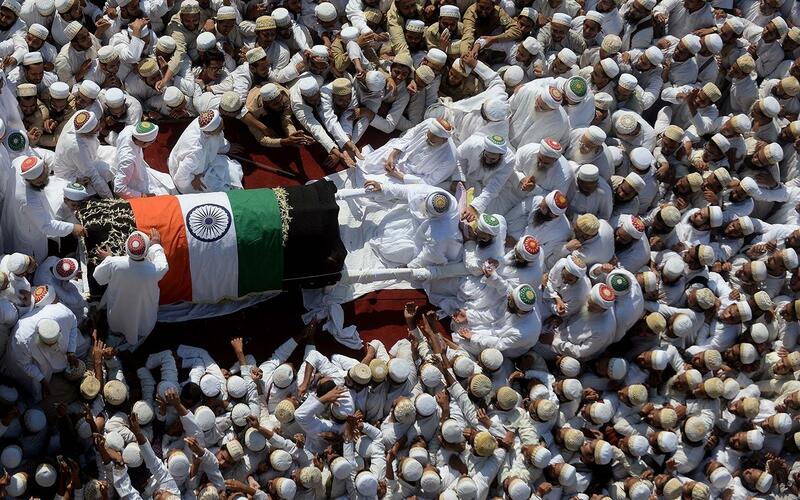 Post 9 – The janazah mubarakah reached Saifee Masjid. KQ claims that he could not have attended the janazah mubarakah namaz because it was his right to lead namaaz. If he wanted he could have even managed to do that. Would a hungama have occurred if he had stood in the first saff in Saifee Masjid, amongst Shahzada sahebo and prayed his own namaz? Who would have known? At least, an important sunnat would have been upheld? The wajib would have been honoured, albeit in imperfect circumstances. In hindsight, this would have been the ideal excuse to delay his claim. Would a hungama have occurred if he and/or a few of his supporters had prayed on the street? There were thousands gathered in the lanes of Bhindi Bazar. People were praying as far as the main road. Would a hungama have occurred, if in case the above was not possible, if he had offered janazah namaz on his own in the vicinity? He could have shown the great love he allegedly has for Moula by doing away with all decorum and praying on some street corner to uphold this sunnat (refer to reason 6)? After all, his son has incorrectly claimed that a sunnat cannot be left for safety reasons, come what may. Would a hungama have occurred if he had conveniently arrived late at the masjid, only to make it to the dafan (burial)? He could have been blessed with ziyaarat of his beloved Moula’a qabr mubarak, instead of attempting ziyaarat from a vantage point far away? All this could have been achieved without harming his claim in the least. In retrospect being part of the janazah mubarakah procession would have appeared to have strengthened it. If a Mumin can think of this, how could he, with his divine insight, claim otherwise? Not even one of his learned sons thought of seeing to one of these provisions. Love finds a way to achieve the impossible. All of the above provisions, at the very least, one of them was achievable. When Mumineen in Mumbai were displaying their love, what did Khuzaima display? Love conquers fear, and Khuzaima was fearful; fearful that his enmity, disdain and disregard for Syedna Mohammed Burhanuddin RA should not be known. But what is in our hearts is displayed in our actions. When mohabbat and tawfeeq are absent, even the achievable eludes our grasp. No one who loved Syedna Mohammed Burhanuddin RA, and was in Mumbai at the time, missed the events listed above (apart from those who were with Khuzaima at the time, and subsequently realised their error). Even those who did not follow Moula’s directives were pulled towards their Moula seeking his forgiveness for their disobedience, because though disobedient, their mohabbat was pure which ensured their share of tawfeeq. How can a person denied such basic tawfeeq claim to be a recipient of taa’eed? Mumineen taking barakat from the janazah mubarakah of their beloved, departed Moula RA.